Whither retail in Oak Ridge? This weekend, when it seems that most of America celebrates shopping, seems to inspire discussion of the perennial topic of “Oak Ridge retail”. My recent e-mail has included both (1) cheerleading for the 3/50 Project and (2) questions about the Oak Ridge city center development (why did the mall fail? what is the city going to do to get the site redeveloped? etc.). So, what do I have to say? Start with the city center (formerly the mall). This is private property over whose use the city government has no actual control. People ask if the city could take it by eminent domain and redevelop it. In principle, the city possibly could acquire it by eminent domain as a blighted property, but use of eminent domain is repugnant to most of the community, a court would set the price (often this is more than the acquiring government thinks the property is worth), and more importantly, the city would have to oversee the redevelopment (retail development is not something that small city governments are known to be good at). Redevelopment of the mall requires the skills of a good private developer — and eminent domain for this property would be a bad idea. 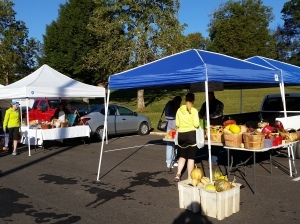 The property owners have a good track record on some other developments, but the lack of progress here in Oak Ridge is frustrating for everyone. Redeveloping a mall site isn’t easy. Not only does it mean demolishing buildings, but the redevelopers have to work around the existing anchor stores and the Tinseltown movie theater, existing utility lines, and numerous other easements. An even bigger challenge is that the current economic climate has been hard on the retail sector nationally — and the developer needs to attract national chains to make the plan work. 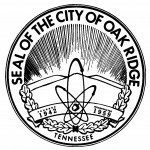 However, Oak Ridge’s economy remains fairly stable, the developers know many times more about how to do retail development than anyone in city government does, and the DOE funding they are getting for a “geothermal” demonstration project is a big boost for the development — both financially and from a marketing perspective. Everyone is impatient, but as I see it, Oak Ridge’s best option still is to hope the owners can pull off a successful development. Revitalization of the city center area will address both public and private needs, so city officials can expect the developers to ask us for help with the project — and we’ll need to look carefully at the request to make sure it is “right” for the city. Isn’t the current retail situation the fault of Oak Ridge voters who rejected two referendums? I’m tired of sitting quietly while certain other City Council members complain that Oak Ridge would now be a thriving retail center if not for the voters’ rejection of the referendums in 2002 and 2007 that would have authorized general obligation bonds for retail developments (bonds that would not give the public any ownership interest in the resulting developments). The problems with the 2002 proposal were many. Too many projects (mall property redevelopment, new senior center, new preschool, and new school administration building) were bundled together in a single $23.2 million package (who’s to know what any individual voter was opposed to? I recall that some opposed the package because they objected to the proposed location or design of the preschool and senior center), the financial details were obscure (leading to suspicions about what was really going on), and a few days before the vote it was revealed that Crown American had bankrolled the expensive advertising campaign for the bond issue (leading many to conclude that their suspicions about the finances had been correct). As for the Crestpointe proposal that voters rejected in a referendum in 2007, Councilman Charlie Hensley has been ranting that if it had been approved, we would now have a big-box development at the Crestpointe site, a thriving retail redevelopment in the city center, dormitories for Roane State Community College, and several other lucrative developments. Those claims are rooted in the same kind of unrealistic thinking that led Crown American to build a mall that was doomed to fail. Mr. Hensley has somehow formed the idea that Oak Ridge could have supported a 450,000 square foot big-box shopping center at Crestpointe plus a similar amount of new retail development on the old mall property plus several smaller new retail developments around town, but no responsible economic analysis indicates that there are enough shoppers (and dollars) around here to support anywhere near that amount of retail activity. Back in 2007 knowledgeable outside observers said that Crestpointe would kill (for at least a few decades) any prospect of regenerating retail activity at the center city (mall) site, and the mall property owners said that the mere existence of the Crestpointe proposal meant that retailers were reluctant to sign deals with any local retail site. (And all that was before the financial meltdown of 2008.) Given the massive amount of site preparation and infrastructure that the Crestpointe project would have involved (both with long time horizons and large dollar costs), plus all that happened with the economy, no one can be sure what would have happened if Crestpointe had been approved. I’m sure that it would not have worked out as advertised, and I think it likely that taxpayers would be stuck paying off a large bill without realizing any value. In a nutshell, I have my fingers crossed about the city center — I’m hoping that the landowners can finally pull off their plan to redevelop the area around the existing anchor stores, with some of the “town center”-type concepts that Steve Arnsdorff brought to town back in the early years of the decade. Meanwhile, the 3/50 project is a positive development that deserves its own separate post. “Green” energy for the Oak Ridge City Center (mall)? Last week the local papers had some positive news regarding the Oak Ridge mall property: the prospective developers are doing test drilling for a “geothermal” HVAC system on the site. Of course, a “green” HVAC system is not much use at a shopping center unless the center has some commercial tenants to use the conditioned space, but I choose to see this as good news. This kind of “green” feature is the kind of thing that could give a commercial development a special identity — to entice customers to choose to shop there. Now here’s hoping for some good tenants to complete the package! Oak Ridge City Center (Mall) — is this progress? For a long time, there have been hints that the long-awaited redevelopment of the Oak Ridge City Center (Mall) might begin soon. “Starting MONDAY, JUNE 16, the OR MALL common areas will be closed to the public. Exterior doors will be locked and exits from the anchor stores will not be used, with one exception. Goody’s has to keep their mall exit as an emergency exit only temporarily. IF customers have to use the mall exit during an emergency, they will exit into a roped off area that will lead them to the exit corridor between Penney’s and Goody’s. This situation is temporary – a new exit corridor is being constructed directly from Goody’s to the existing corridor. The mall office area, security area, and anchor stores (JC Penney, Goody’s, Sears, Belks) will be the only areas open to the public…. An article and editorial in this past week’s editions of The Oak Ridger reported that Doug Janney of the city’s Industrial Development Board (IDB) had asked the owners of Oak Ridge City Center LLC if they still wanted the $5 million in development assistance promised earlier. These articles confused some people who remember the 2002 referendum that rejected the issuance of general obligation bonds for the City Center redevelopment project, but have forgotten the events that followed. To help refresh some memories, I’ve dug into the not-so-ancient history of the city’s agreements with Oak Ridge City Center LLC (Steve Arnsdorff and partners). In 2003, after the referendum had failed, Doug Janney of the IDB developed a plan to aid redevelopment of the mall property without the use of general obligation bonds. The IDB proposed issuing $5 million in revenue bonds, which under Tennessee law do not involve the possibility of a referendum (unlike general obligation bonds, revenue bonds would not be backed by the full faith and credit of the city). This was to be part of an in-lieu-of-tax arrangement in which the mall property would be deeded to the IDB (basically, a paper transaction) and redeveloped by its “real” owner. Then, instead of paying property tax to the city and county, the landowner would pay the IDB an amount equal to the tax otherwise due, and the IDB would use this in-lieu-of-tax money as a revenue stream to pay off the bonds. This was later modified (based on a recommendation by Councilman Willie Golden) so that only the taxes due on improvements to the property would be pledged toward paying off the bond. Article on IDB approval of the arrangement, Aug. 19, 2003. Briefly explains the financial aspects of the proposed deal, Oct. 7, 2003. About Councilman Golden’s proposal to modify the deal to increase property tax revenues to the city and county by giving them both the tax on the land and using only tax on the improvements to pay off the bond, Oct. 9, 2003. Richard Cook op-ed piece on the deal, Nov. 28, 2003. Article on Council’s vote approving the deal (they approved Golden’s modified version), Dec. 2, 2003. Article on a progress report from Arnsdorff, March 16, 2004. This proposal was very controversial at the time, but when compared with the current Crestpointe proposal, the safeguards for the city in this earlier scheme look extremely solid to me (for example, in the City Center deal the IDB would title to some very high-value real estate in the center of town, but in the Crestpointe deal the IDB would have title to a smaller parcel in a problematic location). Also in hindsight, it is not clear to me that this was an exceptionally attractive deal for the mall property owner (although at the time I thought it looked good from the developer’s viewpoint). Ironically, there was almost no public discussion later in 2004 when the city gave the IDB blanket authority to grant property tax abatements for retail developments (this authority was most notoriously used for National Fitness). See http://www.ellensmith.org/forum/viewtopic.php?t=22 for comments I made at the time. 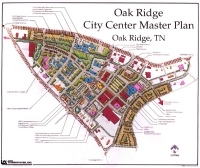 Back in 2000 the City (with the help of consultants) developed — and City Council adopted — a conceptual master plan for the 293-acre heart of the city (roughly, the area bounded by Oak Ridge Turnpike, South Illinois Ave., and Rutgers Ave., including the Oak Ridge Mall area, Civic Center, and Oak Ridge Associated Universities campus); see the city’s website for some details. 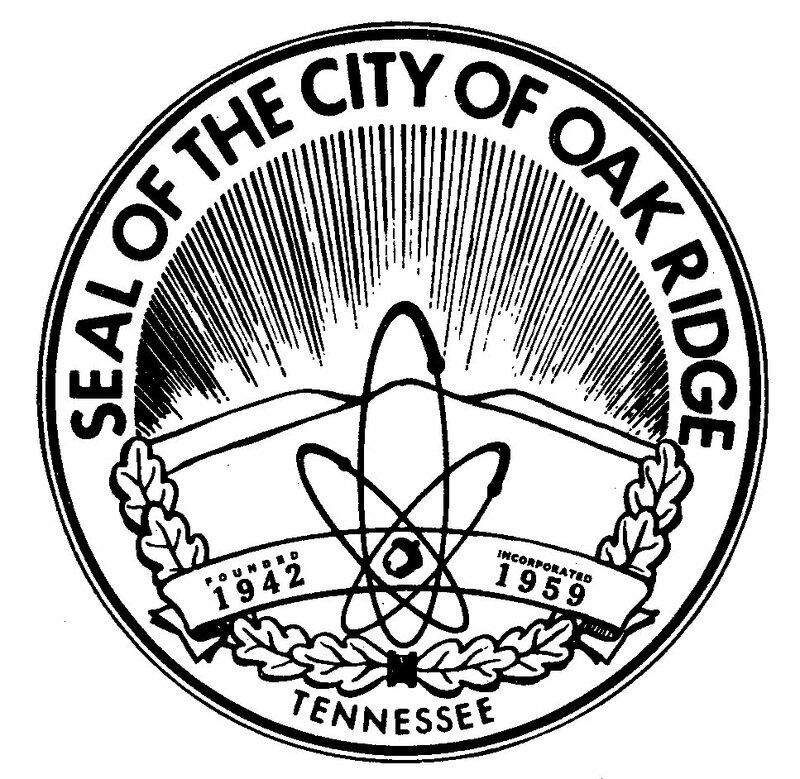 Some of the details shown in the plan maps (such as relocati ng Recording for the Blind and the Children’s Museum of Oak Ridge) were ill-conceived and caused citizens to criticize the entire proposal, but those were details, not the main thrust of the recommendations. At the heart of the plan was a recommendation to increase the overall density of development in the city center area, while reconfiguring the area with additional roads and walkways that would draw people in to shop, visit attractions, and participate in community events. Notably, the plan recommended “de-malling” the mall (which was already moribund), putting roads and pedestrian ways through it and eliminating about 40% of the enclosed space, to convert it into a “town center” type of shopping center development. The City’s consultants had concluded that the mall was greatly overbuilt (the local market could not support the amount of shopping space it contained) and recommended this change to bring new vitality to the area. At the time, it was understood that implementing these concepts would require a public-private partnership — because the proposal promised to benefit both the community and center-city businesses, both the city and private landowners/developers would need to share the costs. City staff and prospective developers proposed a modified version of the “de-malling” plan in 2002, but the extravagance of the plan and other issues (too numerous to review here) caused the $23.2 million bond that was proposed for the project to be defeated in a referendum. Chattanooga developer Steve Arnsdorff ultimately purchased the mall with the intention of revamping it. He has publicly stated his intentions to proceed, but he has been offered far less city financial assistance than GBT Realty is now requesting. If in 2007 Oak Ridge is now so desperate for retail that the City would spend $10.5 million in public funds to flatten a mountain to build a shopping center (in a location that is zoned industrial and is isolated from our existing retail areas), it stands to reason that we should be willing to consider committing some public funds to bring functioning retail back to the center of the city, particularly to the site of the dead Oak Ridge Mall, by recommitting to the vision that the City embraced in the City Center Master Plan. There is no denying that there are significant issues to overcome in bringing new retail to the center city area (not the least of which are deed restrictions imposed when Wal-Mart bought the tract where its store is located from former mall owner Crown American), but I believe these issues are not insurmountable, and I am convinced that if we do not try to resolve these issues we will never recover a functioning retail sector in our center city.